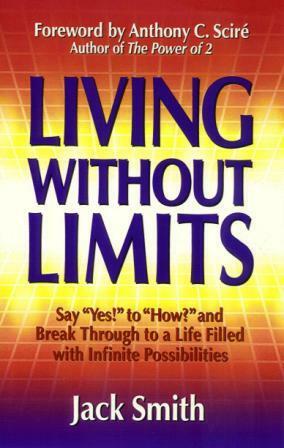 Living Without Limits is an irresistible read with a monumental message. It offers great guidance on how to break any barriers that may be impeding your progress. Delightful and motivating, it challenges you to let go of restrictive behaviors, embrace your dream, and make a bigger difference. Most people want a better life, so why do so few ever make it happen? What's missing? Could it be what jack Smith calls a "one-day" experience? ● Never get sidetracked so you can realize your intention. ● Just say "Yes!" to your quest. You'll figure out how as you go. ● Stop listening to quitters and non-achievers and move on. ● Understand fear is only a word. It can't stop you unless you let it! ● Take more responsibility for your future. It's up to you. Jack helps you look within by sharing solid truths, embellished with humor. You'll learn why you may be stymied in a world of limitless possibilities, and discover how you can break through to the next level. Remove the shackles of your limits and you'll discover you were created to be outstanding!